To help make life better for you, my loyal readers, I suffer by running Windows 7 and 10 on two harmless — never hurt anyone in their lives — PCs. Well, I did. But, in the last week I ran into not one, but two, showstopper update bugs. First, on Windows 10, I was one of those “lucky” people who had files vaporize when I “updated” to Windows 10 October 2018 Update (version 1809). Because I only use Windows for trivial tasks, I didn’t lose anything valuable when the patch decided to erase everything in the My Documents folder. Somehow, I think most Windows users use Windows for more important work than I do. I hope you have current backups. At least Computerworld’s Woody Leonhard has some good news: You can get those deleted files back. The story, Microsoft now admits, is that the 1809 release erases, for some people, all files in the \Documents, \Pictures, \Music, and \Videos folders. The folders are still there, but nothing’s left in them. It’s sort of the neutron bomb of Windows updates. Once more, and with feeling: WTH, Microsoft! You can’t call this a fluke. It’s not as if Windows 10 is some Teflon-coated operating system that has never done anything wrong with its updates. Remember the April 2018 Update (version 1803)? That’s the one that had conniption fits with SSD drivers and Avast antivirus software. I remember, and not fondly. How hard is this really, Microsoft? You literally have millions of Preview users. At least one of them spotted this newest bug months before release. There may not be many people running into this problem, but anything bad enough to destroy users’ files should be a red-letter, fix-it-now bug. It has proved bad enough that Microsoft has stopped the 1809 upgrade in its tracks until the problem gets resolved. Which, as I write this on Oct. 7, hasn’t happened; the problem remains unfixed. Meanwhile, over on my Windows 7 box, I ran into that good old mystery “error 0x8000FFFF“ notice. Lots of things can cause this error. The effect is always the same. You can’t update Windows. I don’t know about you, but I don’t like running Windows PCs without the latest security updates. I’m funny that way. In this latest go-round, I couldn’t install Microsoft’s two most recent monthly security rollup updates or the September security-only update. This one had me puzzled. It turns out — bear with me, because this gets messy — I hadn’t installed a critical (but not security-related) servicing stack update (SSU), KB 3177467, that Microsoft had released in October 2016. Unless I have a particular reason to do it, I don’t install all critical Windows fixes. This will teach me. It turns out that the Windows 7 Service Pack 1 (SP1) patch was not marked as being related to security, though it was. Wilcox, taking a different tack than the company has done with the Windows 10 mess, also explained how Microsoft missed this problem. “We test our monthly patches on fully patched, up-to-date systems, which is why this issue was not seen in our testing, or by any of our preview partners.” I appreciate the candor. Going forward, this blunder won’t happen again. Well, at least not exactly like this. First, Microsoft is reissuing the September update and tagging it as a security update to unblock any remaining customers from installing the August 2018 or later monthly security-only updates. Next, Microsoft is updating all release notes so they instruct you to install the latest SSU for your platform before installing the latest cumulative update. You do read the release notes, don’t you? I don’t care what operating system or program you’re running, reading release notes will save you a lot of grief. Finally, if you don’t read the notes, all future new SSUs will be marked as “security,” not just “critical.” This way, if you still are installing only security fixes, you won’t be caught out again. It’s worth noting that even today I prefer Windows 7 to 10, and I find it more than a little ironic that the Windows 7 problem has a better fix than the still-unresolved Windows 10 episode. 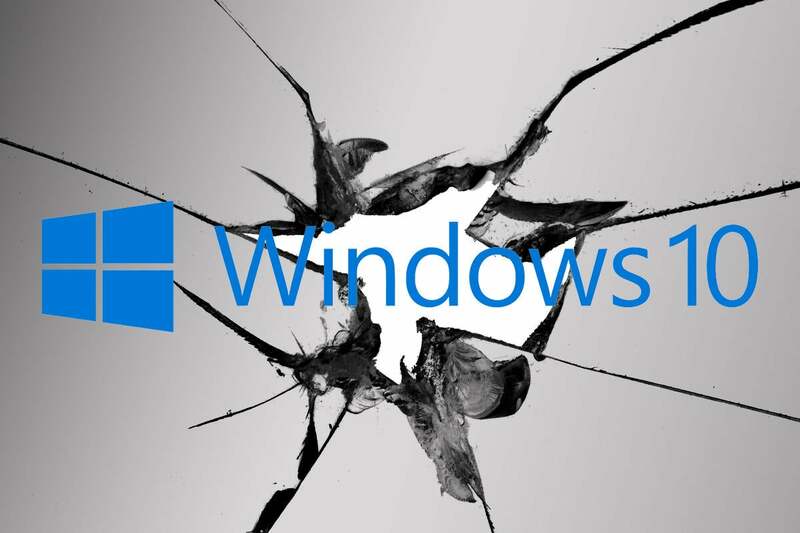 Which leads to another question for Microsoft: Are you sure you want to kill off Windows 7? Just asking!